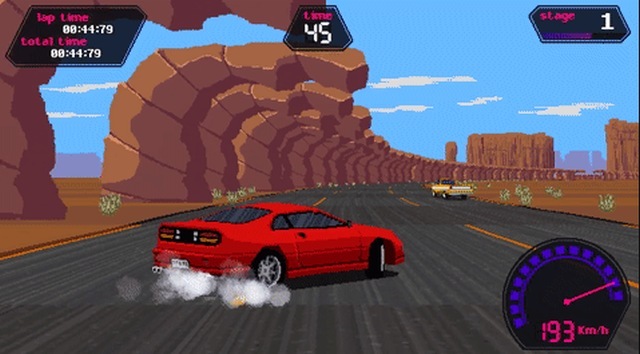 We recently mentioned the Steam Greenlight success of ' Slipstream ' developed by Noctet Studio, an arcade racing game inspired by the visuals, music, games and cars from the 80's and 90's with 4 game modes, 30 different tracks, 4 playable cars and 8 original cars. Well that same game, which is still needs to gain a good amount of Kickstarter pledges to be a success, has recently been updated with a new demo to whet your appetite. As we said before, Slipstream was approved on Steam Greenlight and will be available on Steam for all major PC platforms: Windows, OS X and Linux. All the game downloads given as rewards will be available for all three platforms. However, the developers need all the help they can get, as with just 26 days to go, they need you to push this to a $6,000 Kickstarter success.